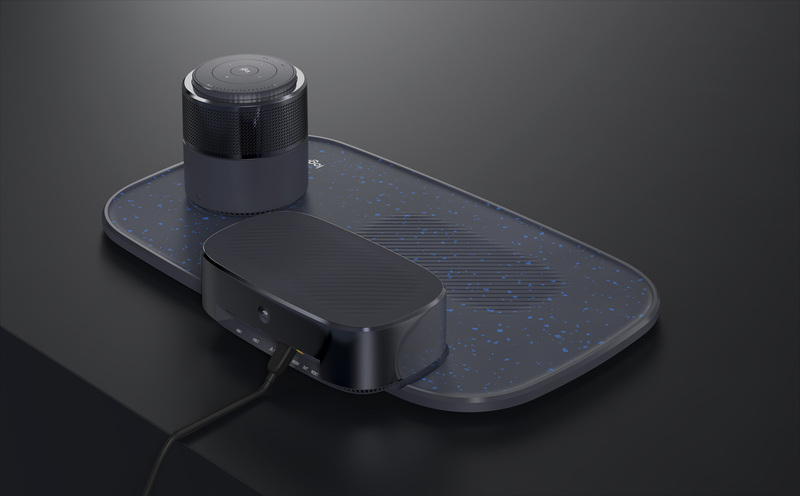 As one of the market leaders for peripheral devices, Logitech sought to establish its new position in the market of smart home solutions. 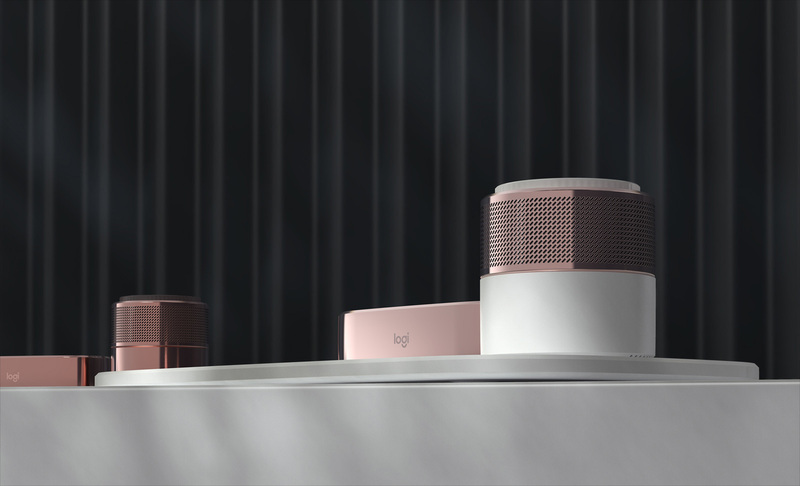 The brief we received: Explore different solution approaches to simplify the increasingly painstaking effort of managing one’s many smart-home devices. We developed several vision concepts (incl. 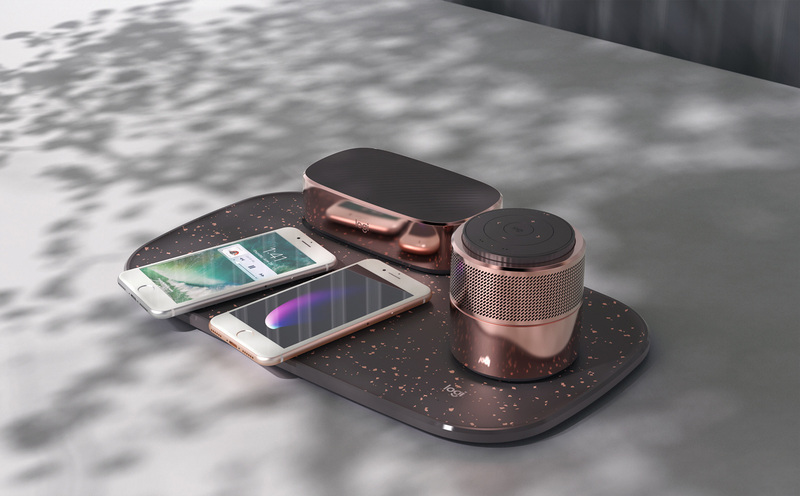 smart app) trying to streamline a range of user needs in conjunction to device control, voice assistance and wireless charging. Digging into concerns expressed in conjunction to smarthome products currently on the market, also further analysing routines and home environments of different user groups, it became apparent many were struggling to manage the number of different (model, brand) smartphone connected devices, also those specifically required for smart home services. Device and user interface clutter was a major concern apart from the fact that most users had to spend many hours learning the very technical ins and outs of smart home control. A viable approach: Combining charging, smart control and voice assistant functions into one station, hence also reducing interface and cable clutter. We also observed that many users had their favourite home ‘drop spots’ – a place for keys, rings, small pocket stuff, wearables and smart phones, which were often placed on sidetables or entryway credenzas. Equipped with those observations we explored typical decorative trays and racks people would place on these sideboards, searching for a form factor that would elegantly suit environments with multiple users. 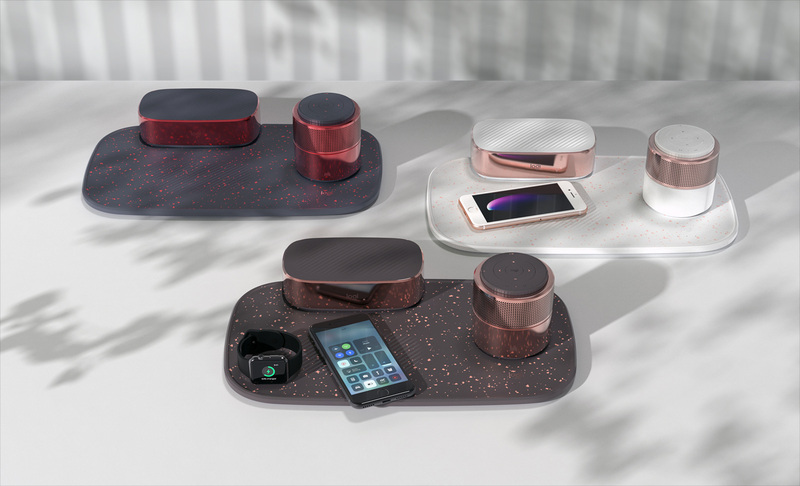 What we did: Aiming for a design solution combining elegance and simplification we looked at table as well as home-ware items in different world regions, particularly ones which had combined different object form factors into visually appealing set arrangements. 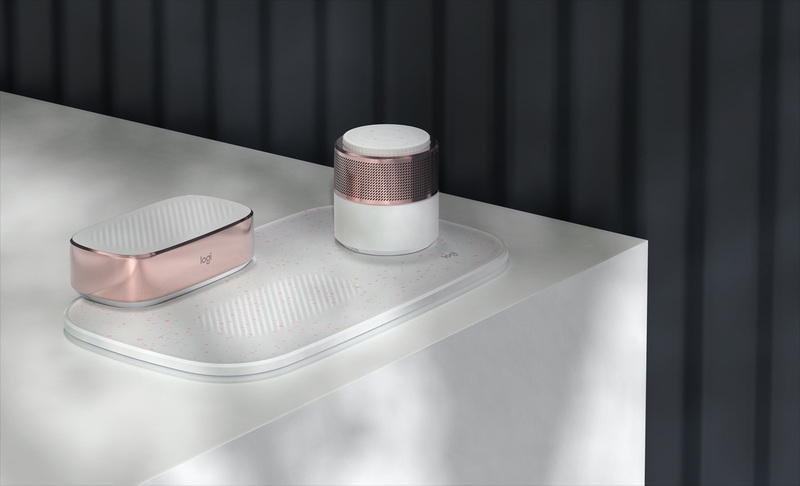 Inspired by Japanese food containers such as bowl, cup and tray sets, which were visually complemented into picturesque table landscapes, we developed a product architecture containing a set of intimately arranged / interlinked objects. Developed with the goal of clutter reduction the set unifies 3 main functions into one product. 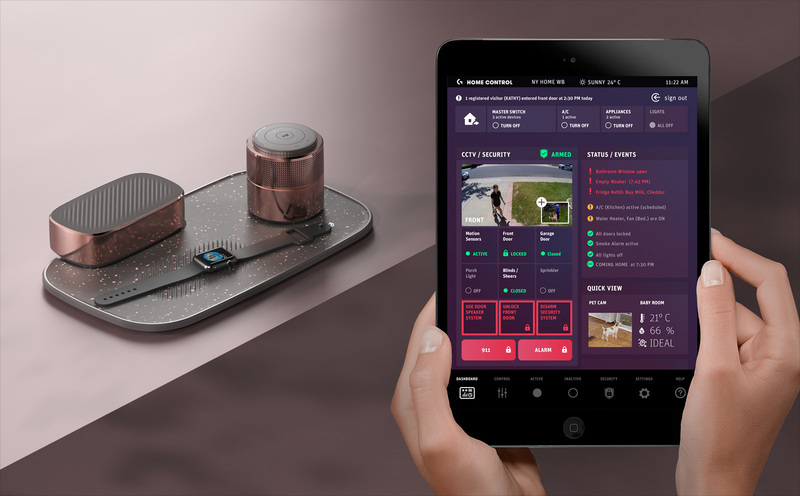 People can lay down their smartphones and other electronic wearables to charge, yet the platform also provides a portable voice assistant (+speaker) and smart-hub control station, which manages smart-home capable devices. With just one power cable cable mess is significantly reduced. 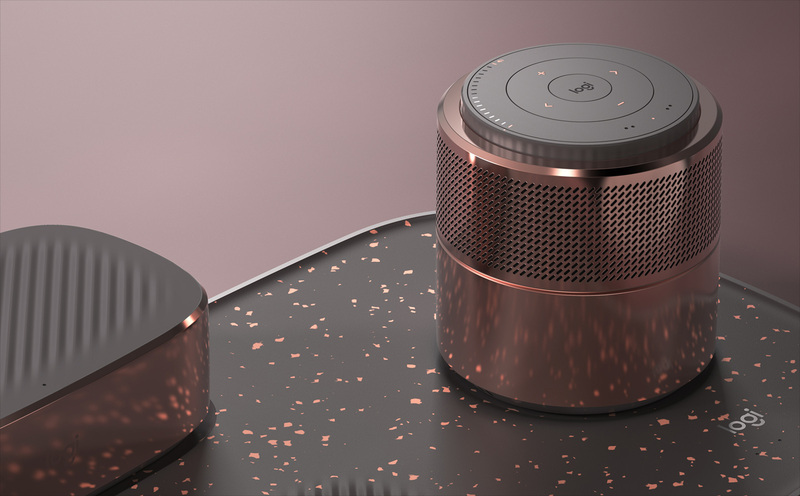 The charging platform provides a slightly scooped surface used to concurrently lay down several smart mobile devices at the same time, as well as allowing users to drop in their keys, coins or earrings. 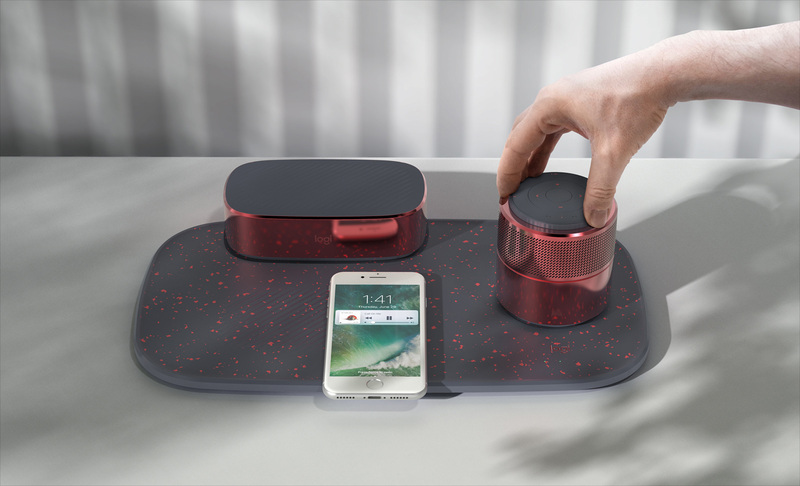 The otherwise portable voice assistant tower also recharges directly on the charging tray. 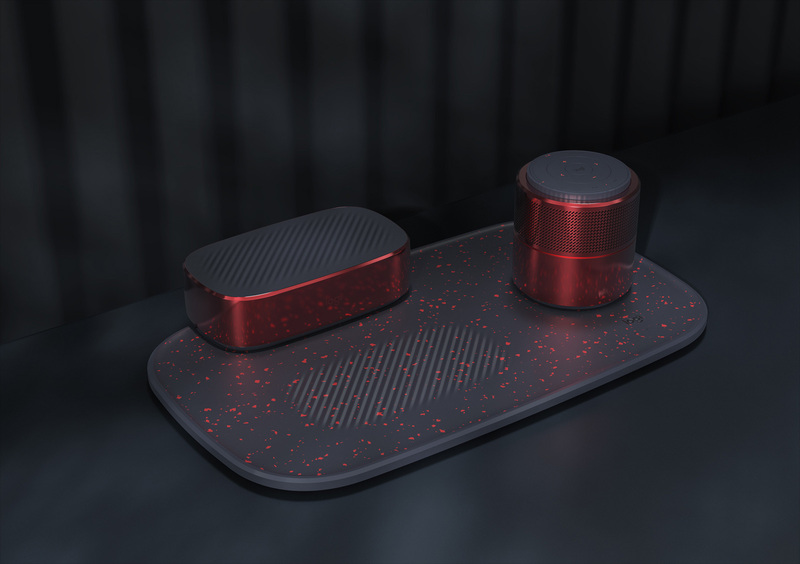 Besides voice recognition, the VA’s upper area features various manual controls, allowing easy hand tapping to confirm settings or control quick settings as well as rotatable volume wheel and a directional touch pad to quickly access specific parametric features. 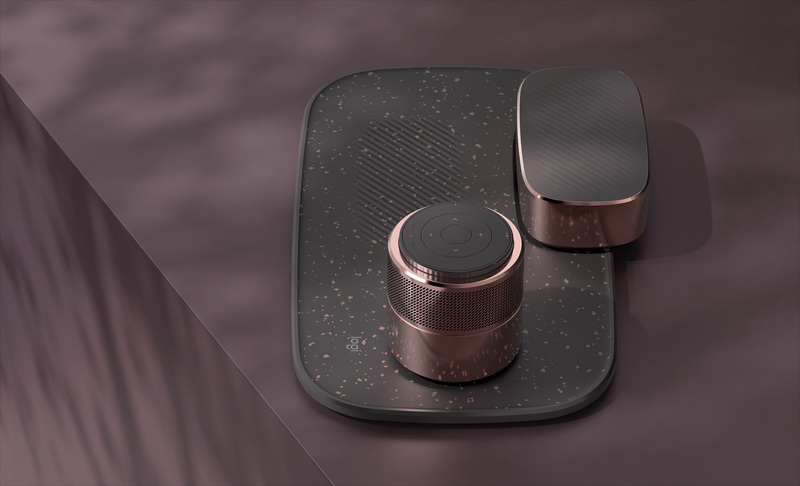 The smart centre is not just easily accessible, but gets one step closer to an uncluttered home environment, in which smart devices own their presence without the heap of blinking LED’s.